Building on last season's risky gamble to expand his Heavy Recovery operation from the BC mountains into the frozen Alberta north, Jamie Davis is tackling new highways and facing bigger wrecks than ever before. But at this pivotal moment for Heavy Rescue, there are big changes on Jamie's crew roster -- forcing him to trust his trucks, his reputation and the fate of the highways to new and untested drivers. As Jamie divides his focus between BC and Alberta, we see his brothers stepping up to help in both operations. But the strain of building a new team -- while taking on the most challenging recoveries in Heavy Rescue's history -- pushes Jamie to his breaking point. Eyeing the small, simple operation of his competitor, Al Quiring, Jamie reaches a crossroads. Will he keep expanding his fleet and pushing to serve new territories -- or will he abandon the roads of Alberta and head back home? As his crew fights to keep the traffic moving on six different highways, Jamie has to decide how much fight he has left… in himself. When winter strikes its first blow, John -- Jamie's newest recruit -- has to save a snowplow stuck in the grip of an icy river. While Jamie pushes further into new territory, changes rock the company - forcing Colin to take on a new role. His first wreck of the season tests his skill on the rotator… plus his skills as a leader. And the entire community says farewell to a Heavy Rescue legend. Jamie's new BC crew struggles with a badly mangled trailer on a dangerous blind corner. When Colin slips up on a big recovery in Alberta, Jamie's brother has to take over the job - even though he's a rookie on the rotator. Brandon steps up to a new role in Heavy Rescue. 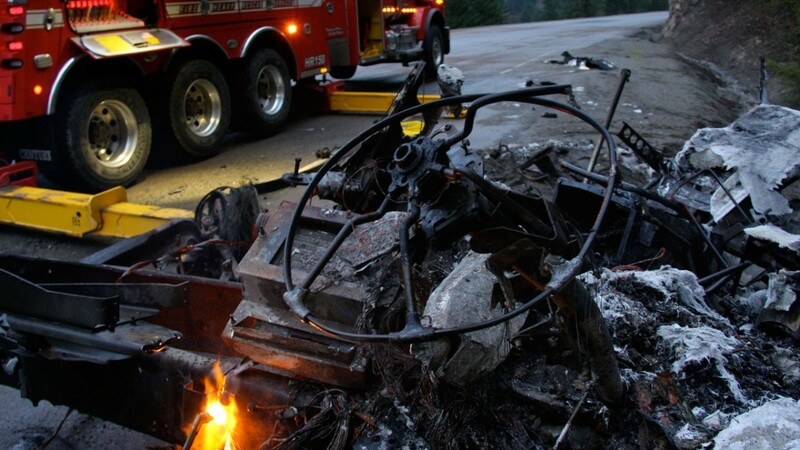 When a lumber truck and diesel tanker collide the flaming wreckage becomes the biggest recovery of Colin's career. 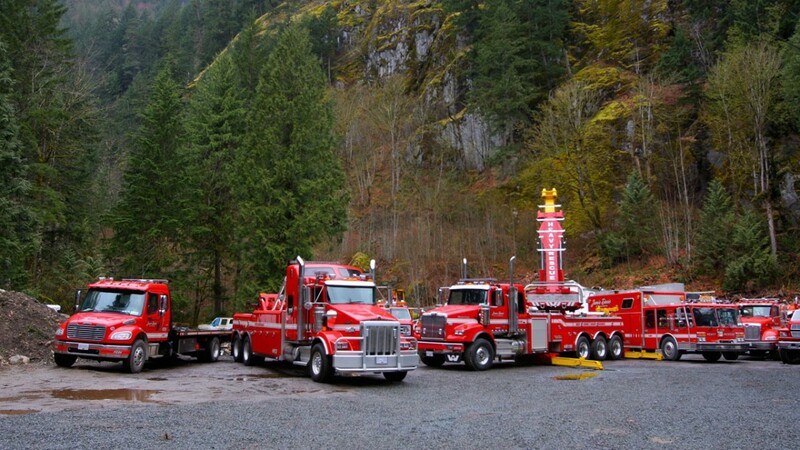 As snowstorms pummel the Coquihalla, Al Quiring heads up the hill, ready for battle. In freezing rain, John faces off against a mangled tractor and becomes a mentor in the process. Two days before Christmas a semi plows off a bridge, leaving a trailer and three RVs dangling over a raging river. It's up to John, Jamie's new BC driver, to get holiday traffic moving and prove himself on a multi part recovery that's unlike anything they've faced in the past. Al Quiring and Gord Boyd battle through a stormy night to keep the Coquihalla Highway open for the holidays. Al Quiring is in a high-pressure race to recover a split open trailer and open the TransCanada before the morning rush. Jamie Davis is running a race of his own when a semi carrying an important load of pharmaceuticals plunges down a bank. Jordie from Mission Towing faces a semi on the verge of splitting in half. And, in Alberta, the burdens of running the shop solo take a toll on Colin. A freak downpour of freezing rain covers Hope and the Coq in a thick layer of ice, cutting off communication and crippling Jamie's operations. Battling the conditions, Ken Monkhouse heads to a job up a remote, ice-covered hill… and re-lives the worst day of his life. A good friend of Jamie's is called into action when two semis collide head on - leaving wreckage scattered across the TransCanada Highway and a cross-country rail line. Al and Gord from Quiring Towing work to rescue a loaded semi that's teetering on the edge of a 300-foot drop. When a new client needs Colin's help, he faces a white-knuckle drive on a remote Alberta back road. Jamie tests out a new driver, who might be in over his head. And John and Brandon try to save an injured owl, trapped on the highway. 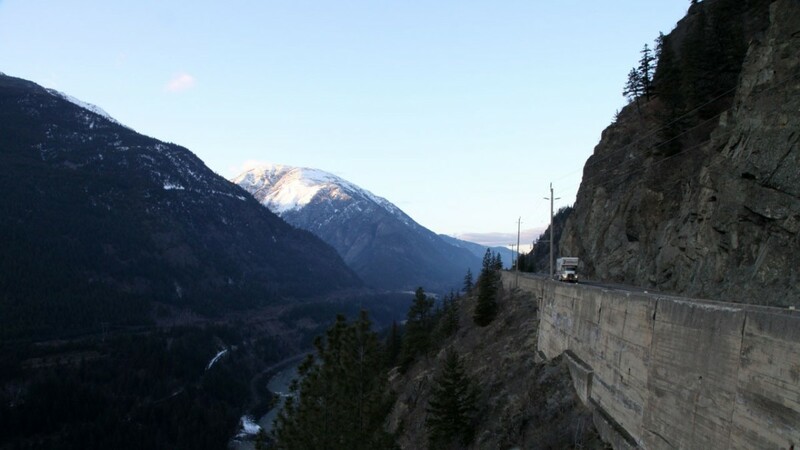 Strategies collide when the Davis and Quiring families team up for a rare joint-recovery that has shut down the busiest highway in B.C. 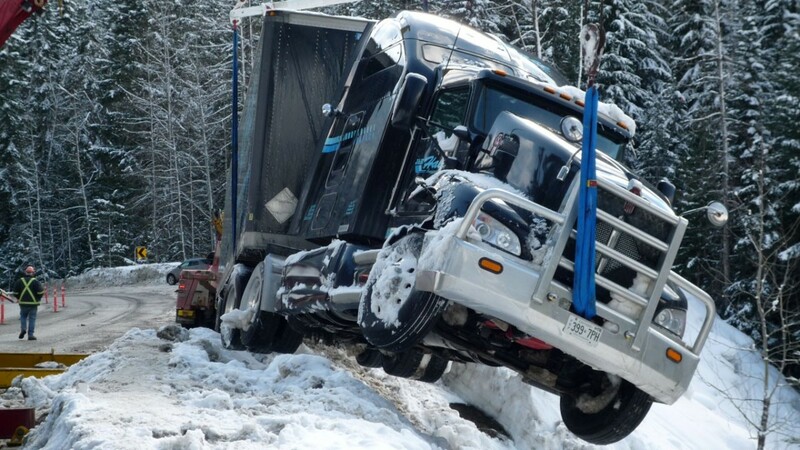 Up on the Coquihalla Highway, a big rig ends up in a nasty predicament when it is left teetering in a seemingly impossible position. And Mission Towing faces an overwhelming amount of work when they get an urgent call in the middle of a massive recovery. A simple job turns into an urgent puzzle when a flipped semi pulls Jamie back out on the road. Randy Jacknife faces one of the biggest - and heaviest - challenges of his career against an overturned truck trapped under its load of steel. And Jamie's niece Matia "borrows" her uncle's prized Boss Truck for an off-road adventure. Al and Gord are forced to gamble on the biggest job of their season that has the highway closed and both green wreckers pushed to the limits. In Alberta, Jamie's crew battles a whiteout to reach a massive chain reaction wreck. And back in BC, a wrecker is called to a river bank to help solve an underwater mystery that may be linked to a deadly crime. As Jamie reaches a difficult crossroads, he looks back over four seasons - revisiting his most challenging wrecks and exciting recoveries. Familiar faces - from the past and present - explain what drives them to this dangerous world. Favourite drivers who have left Heavy Rescue check in with updates on their lives. 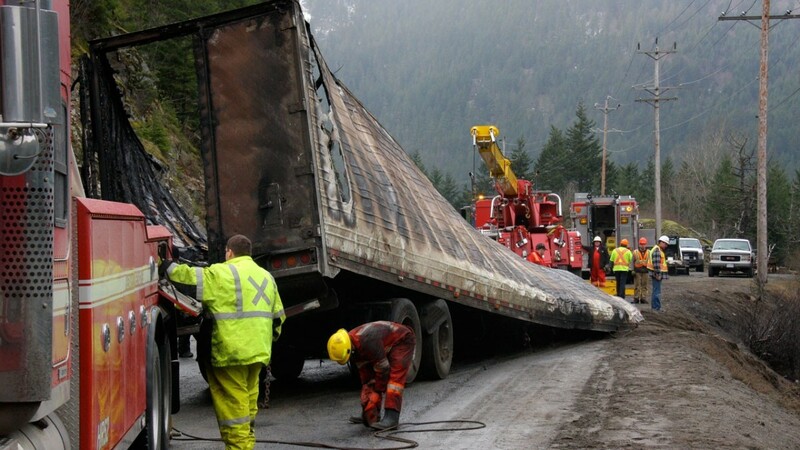 And a look behind the cameras reveals how Highway thru Hell gets made. In the season finale, Jamie returns to the road, taking control of the rotator for the first time in months. But after a winter behind his desk, Jamie might be too rusty to avoid a disaster on the highway. As the winter winds down, an unexpected tragedy strikes Jordie and Mission Towing. And Jamie turns to his competition for advice about a major decision that will determine the future of Heavy Rescue. Adam has taken half the fleet north to Alberta's dangerous oil fields, while Jamie stays back to fight and keep the Coq open all by himself. Jamie realises he can’t do it all alone in Hope and hires a new driver, who ends up needing rescuing after he crashes Bruce’s legendary truck. A close call on the highway shows Brandon that fear is his best friend when it comes to staying alive. A winter storm slams BC, but Jamie is powerless to help. Two of Heavy Rescue’s crew face a life-or-death situation on a remote logging road. A truck full of wine is sliced in half less than 24 hours after Jamie ships the Rotator to Alberta. Howie tackles this recovery all on his own. Howie faces a seemingly impossible challenge after a massive wreck spills lumber across a busy highway. In Alberta and BC, pipe trucks have rolled over and crews in both places race to open vital highways. In Alberta, Adam and Brandon face off in a clash that will change the course of the winter season. 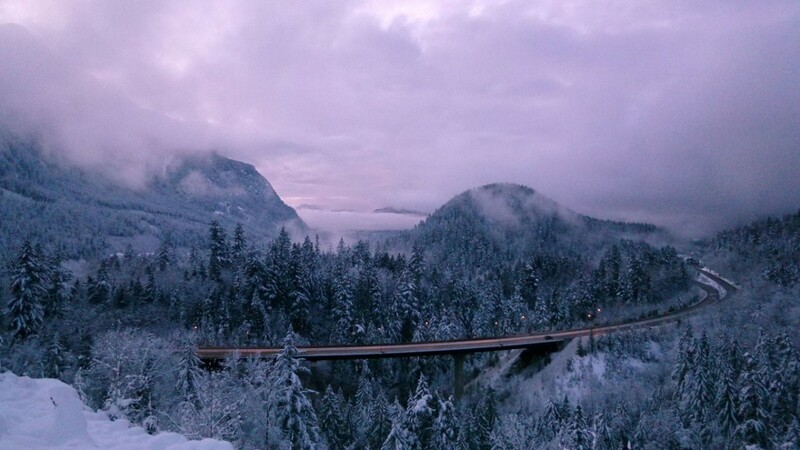 A record snowfall brings BC's vital Coquihalla Highway to a standstill and sends shockwaves across the region. The Alberta crew faces a complex recovery with a million dollar truck while Jamie struggles with an unstable wreck. For the first time all season Howie and Adam end up on the same BC wreck and the old Coq vet doesnt like how the new guy is running the show. Phil and Wayne face big problems when they get their chance to run big wreckers. Al runs into trouble on a steep and twisting logging road. Jamie and crew retrieve a stolen vehicle that crashed 500ft into a ravine, and Adam mulls over leaving Alberta after a tough winter. Winter is back in full force on the Coquihalla Highway and Jamie Davis has bulked up with his biggest heavy rescue crew ever. The first big wreck of the season brings the crew out to a crashed truck with a double load of lumber that Jamie needs to recover without damaging its fragile roof. As the job drags on into the night the road freezes over leaving the team to juggle passing traffic and an awkward recovery. Winter hits fast and furious, testing the endurance of the heavy rescue crew. Jamie's got to keep a wrecked load of wood chips from busting open all over the highway. Ken strikes out when he tries to recruit Brandon into car towing. Later, a fully loaded Sea-Can container flips, blocking Highway 3. The heaviest lift in two seasons pushes Jamie and the Rotator to their outer limit. Jamie brings back veteran driver Scott by promising him a new state of the art heavy wrecker. But the new truck is months behind schedule, so Scott has to settle for a worn-out vintage truck. A grueling schedule pushes Adam to his breaking point and he goes AWOL, while Jamie is forced to abandon his Rotator on a backcountry road that is too dangerous to drive. Tension between Jamie and Adam boil over as they struggle to flip a B-train on a narrow icy road. Adam comes close to quitting, but then backs off when Jamie makes him a promise. A two-car collision closes the snow shed and puts Ken's towing know-how to the test. A truckload of Christmas mail nearly goes off a cliff. A trailer filled with costly pharmaceuticals gets imbedded in a block of ice. A truckload of frozen chickens crashes into a tangle of trees. 65-year-old Bruce begins to show signs that he may be over the hill. Rob's promotion to lead flagger is short-lived when police revoke his license for speeding. A local competitor challenges Jamie's status on the Hill. A trailer full of cat food bursts into flames - and Scott and Gord have to battle for two days to get the burning heap off the Smasher. Bruce gets into a fight that lands him in the hospital. The biggest storm of the season is about to hit the Coq with a fury, just as Jamie discovers that his license has expired. His day gets even worse when someone smashes the Rotator. When Jamie then gets a call for a dream job it turns into the most challenging recovery of the season. A semi hits a barrier so hard that it tears off the trailer's rear axle, blocking the Coq's most important exit. Scott tells Jamie he's fed up with the vintage truck he's been driving, and a mysterious new driver shows up in the yard to start work. Heavy rescue has to recover a severely damaged trailer loaded with millions of plastic beads. Spring rains are causing rock slides on Highway 1. When a B-train loaded with lumber drives off a cliff in order to avoid a boulder, Jamie's called in to recover the wreck before it falls down onto an active railroad line. Jamie and crew wrestle to recover a trailer loaded with apples off a dangerous bridge. A multi-vehicle wreck turns deadly for a Good Samaritan. Scott returns after two weeks of forced vacation, hoping to finally get his new heavy rescue truck. Adam and Jamie are forced to use some fancy rigging to try to save a wreck on Highway 1 that threatens to spill its load all over the road. When a new competitor rolls onto the mountain and cuts the work in half Jamie is forced to realize he can't afford to keep his world class fleet of trucks on the Coq. The guys share a few beers and reveal behind-the-scenes moments from what has been one of the most challenging and gruelling winters. A new competitor on the Coq has cut Jamie's business in half, and the one job he lands in weeks ends up being a complex recovery that no one seems willing to pay for. Heavy rescue faces a life and death decision - shut down or leave the Coq for the oil rush boomtown of Fort McMurray and some steady cash. 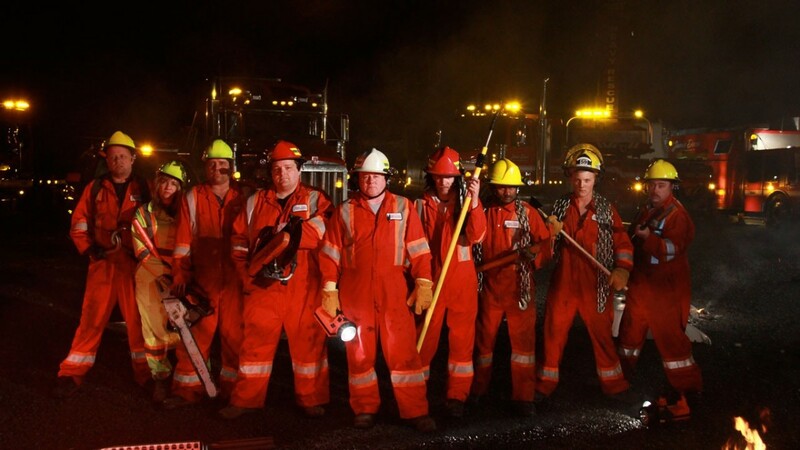 Determined that "closure is not an option" for Jamie Davis Heavy Rescue, the crew packs up and heads north in search of the new highway thru hell. The tow dogs who work California's Donner Pass brave the elements and the competition. Towing is a cut-throat business here, with more than ten local companies fighting for financial survival. In this Hell on the Highway best-of episode, the extremely competitive side of towing in the Sierras is revealed, as tow dogs are pitted against one another in a race for rescues that only the best will win. The tow dogs of California's Donner Pass tackle some of their most treacherous rescues and recoveries in this Hell on the Highway best-of episode. 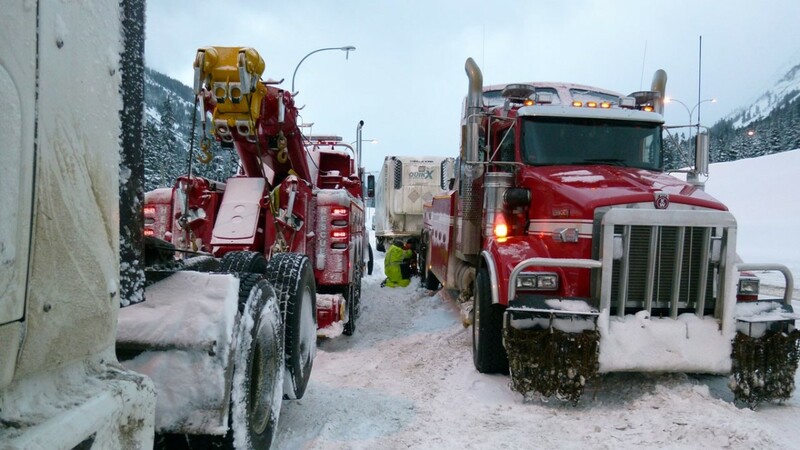 Extreme weather, broken equipment and bad drivers create hazardous working conditions for the tow operators, putting their tow trucks and lives at risk.